Application Deadline: midnight local time December 29, 2017. 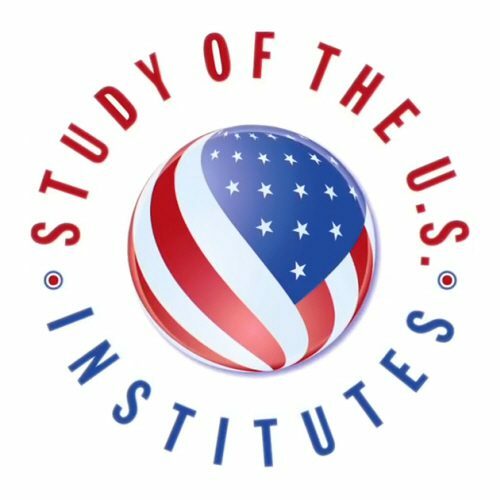 The Public Affairs Section of the U.S. Embassy is pleased to announce the competition to select highly qualified candidates for summer 2018 Study of the United States Institutes (SUSI) for Scholars. Study of the U.S. Institutes for Scholars will take place at various colleges, universities, and institutions throughout the United States over the course of six weeks beginning in or after June 2018. Applicants should be mid-career, typically between the ages of 30-50 with strong English level abilities, substantial knowledge of the thematic area of the Institute or a related field, and little or no prior experience in the United States. SUSI Institutes will be held in the following themes: American Politics and Political Thought Contemporary American Literature, Journalism and Media, Religious Pluralism in the United States, U.S. Culture and Society, and U.S. Foreign Policy. Prospective applicants are encouraged to visit http://exchanges.state.gov/susi to obtain general information about the Institutes. Candidates are requested to provide in English a curriculum vitae with contact information (email addresses and phone numbers), as well as a one page (500 words) personal statement describing their interest, what they expect to obtain from the program and how they plan to use the knowledge acquired. Please send applications electronically to ExchangesYaounde@state.gov, no later than midnight local time December 29, 2017. The Public Affairs Section of the U.S. Embassy in Cameroon is pleased to announce the competition to select highly qualified Cameroonian candidates for summer 2018 Study of the United States Institutes (SUSI) for Secondary School Educators. These institutes are for secondary school teachers, teacher trainers, curriculum developers, textbook writers, ministry of education officials, secondary school administrators, or other related professionals with responsibility for secondary education. Three Institutes for Secondary Educators will be offered, two with a focus on classroom teachers and the third with a focus on administrators, teacher trainers, curriculum developers, text book writers, and ministry of education officials. Prospective applicants are encouraged to visit the link exchanges.state.gov/susi to obtain general information about the Institutes. SUSI Institutes are five weeks intensive post-graduate level academic programs scheduled June 2018, with integrated study tours, whose purpose is to provide foreign secondary educators the opportunity to deepen their understanding of U.S. society, culture, values, and institutions. The ultimate goal of these Institutes is to strengthen curricula and to enhance the quality of teaching about the U.S. in secondary schools and other academic institutions abroad. The program will provide funding for round trip airfare to the United States, a living allowance, and health insurance. Applicants should be mid-career, typically between the ages of 30-50, highly- motivated and experienced secondary educators with strong English level abilities, and little or no prior experience in the United States. Candidates are requested to provide in English a curriculum vitae with contact information (email addresses and phone numbers), as well as a one page (250 words) personal statement describing their interest, what they expect to gain from the program, bring to the program, and how they plan to use the knowledge acquired. Please send applications electronically to ExchangesYaounde@state.gov by midnight local time December 29, 2017. Late applications will not be considered. Next articleStudy a Master’s in Law, Business or Future Studies in Turku, Finland! could u send me the exact application link, please? Tnx!